Each casket is subject to an independent Quality Assurance team’s inspection to ensure the highest quality. All caskets are packed securely for extra protection during transit. Our metal caskets come with rubber gasket seal with no additional cost. The thickness of the steel is accurate as advertised. Our wooden caskets are handcrafted with genuine wood as promised. 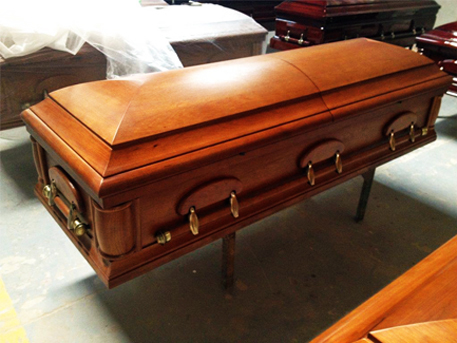 Divine Caskets is committed to provide the highest premium quality caskets with the best prices to our customers.